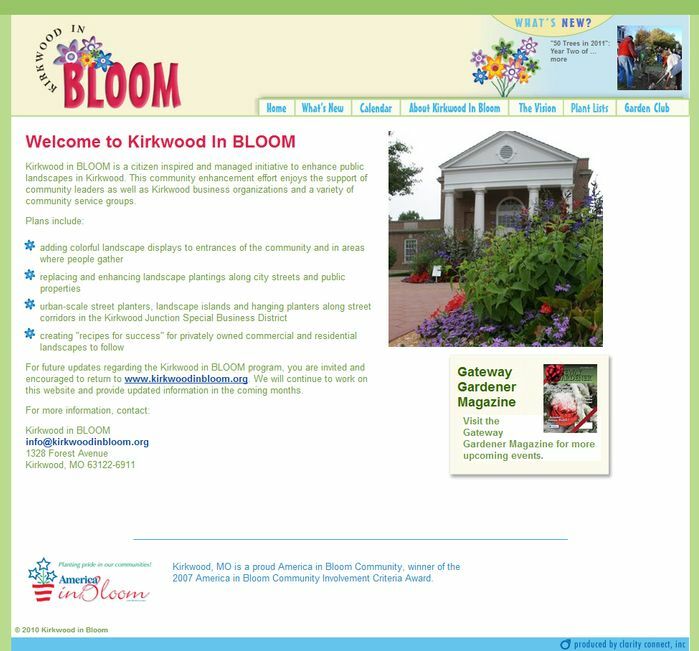 Kirkwood in BLOOM is a citizen inspired and managed initiative to enhance public landscapes in Kirkwood. This community beautification effort enjoys the support of community leaders as well as Kirkwood business organizations and a variety of community service groups. CCI designed the logo and developed and released this website in less than 4 weeks.